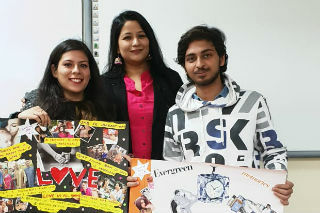 JIMS Rohini organised an activity on “Attract to sell” for PGDM-Retail Management students (batch 2018-20) on 17th January 2019. 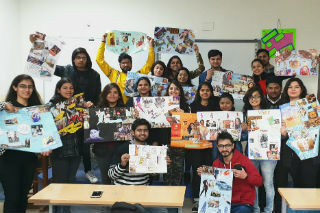 As a part of the VM class activity the students were asked to create the mood boards for the different themes such as love, life, success, holiday, marriage, travel, passion etc. 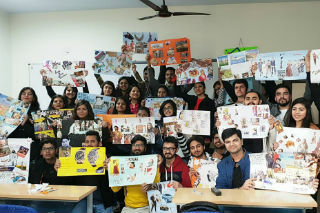 Students collected the pictures from the old magazines and newspapers and exhibited their creativity as visual merchandising hence"Attract to Sell". 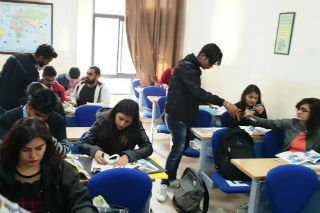 Students participated in this activity with full zeal and enthusiasm and showcased their unique ideas. The activity was full of learning, fun, creativity and exploring the new ideas using least resources. All the students explained their mood boards through presentations. To motivate their efforts, some students were given shining and budding stars as a token of appreciation. It was a good learning experience for the students.